Annamacharya Educational Trust was founded in the year 1997 by C.Gangi Reddy that offers quality-driven education to the rural youth. The rural area is affluent in talent, but for the dearth of educational facilities. This talent has to be channelized for the prosperity for the society and growth of the country in large. With this notion, The Founder and Honorary Secretary, Mr. Gangi Reddy established the first engineering college under the Trust, Annamacharya Institute of Technology and Sciences near Tallapaka, birth place of the renowned saint-poet Sri Annamacharya, to enable the rural students of the region to experience engineering education amidst state-of-the-art infrastructural facilities, enjoying the innovative teaching-learning process. 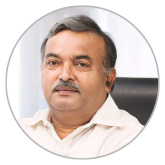 It gives me immense pleasure to welcome you to Annamacharya Group of Institutions! We impart holistic education and instill high patterns of discipline through our dedicated staff that sets global standards, making our students technologically superior and ethically strong, who in turn shall improve the quality of life of the human race. Our mission is to educate students from the local and rural areas to make them enlightened individuals, improving the living standards of their families, industry and society by providing world-class quality education. 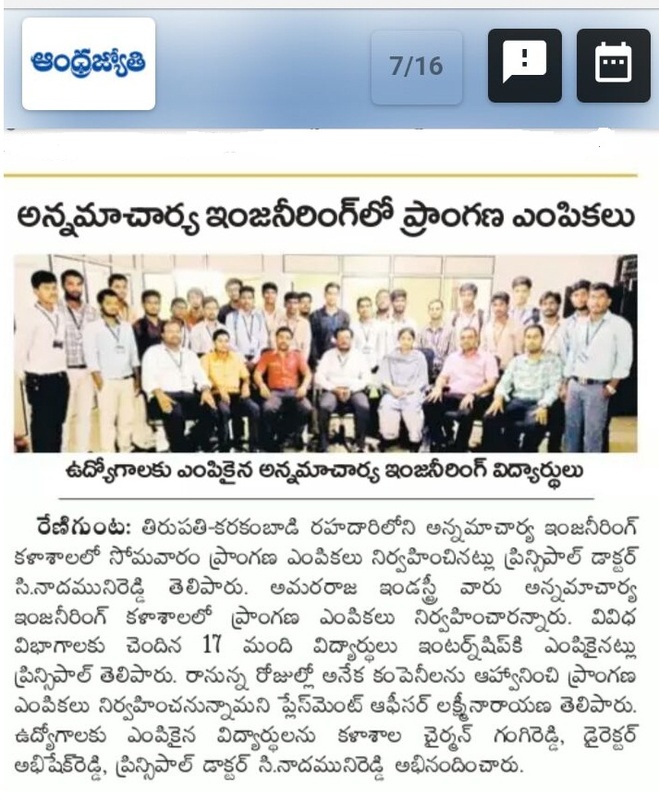 National Conference on Marketing and Sustainable Development conducted at AITS, Rajampet on October 13-14th. 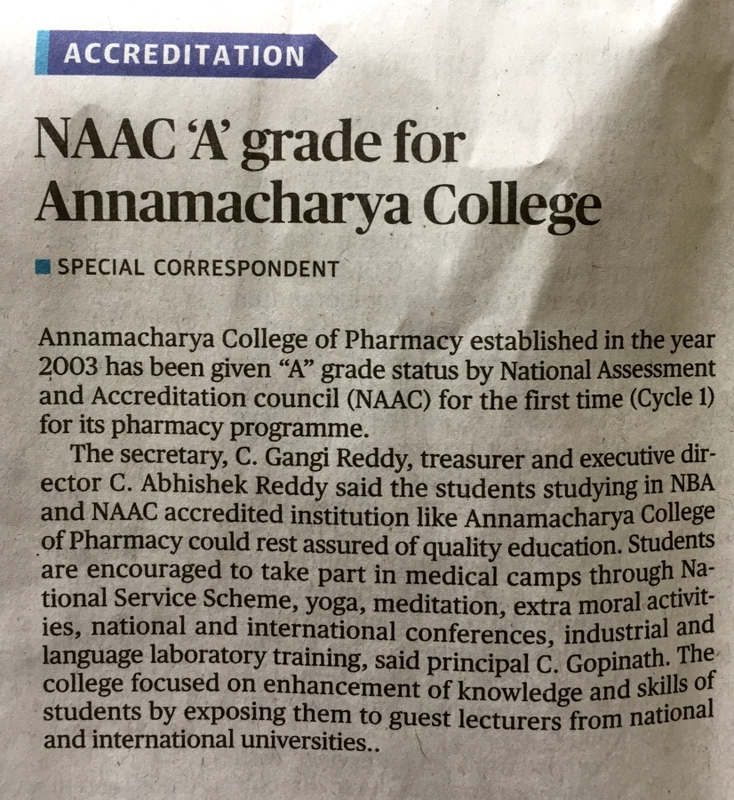 Annamacharya College of Pharmacy receives ‘A’ grade status by NAAC for its pharmacy programme. The college has dedicated senior faculty who guided me throughout my course in every step. Especially the case studies used by them are of great help to understand any complex concept in a simple way. Fabulous and rewarding is how I would describe my past four years at AITS, Rajampet! The college’s strong academic programs, readily accessible faculty, and a variety of student resources created an excellent learning environment for me to gain practical skills and most importantly, confidence in the workplace! The college provides everyone with opportunities to interact and learn from each other. We are encouraged to take initiatives and hone leadership skills, so that they can cope with the world outside the campus. Teaching & Learning goes on seamlessly with creativity, innovation and excellence in academics. All the people involved in the teaching and learning process namely, faculty, students, technical and the non-technical staff contribute towards to providing a collaborative learning environment. The institutions are located in sprawling campuses amidst lush green surrounding with serene beauty, creating a vibrant life for the academic pursuits of thousands of students. Excellent infrastructural facilities with lavish and state-of-the-art technology laboratories. The institutions have constituted anti-ragging cells and quick response teams along with the contact details of the various co-ordinators and members. Student activities are constantly monitored and encouraged facilitate a friendly environment. Life at the campuses is exhilarating and pulsating with vibrant student community activities and clubs. Besides, expansive and lush green campuses, our facilities like state-of-the-art laboratories make learning at Annamacharya Group of Institutions lively! Sports facilitate overall development of students’ personality. Along with academics at our institutions, students are constantly encouraged to involve themselves in sports. Our institutions are equipped with both indoor and outdoor facilities to support students to participate in regional and national level tournaments. Safe and secure hostel facilities are provided for both boys and girls. The rooms are available with AC and non-AC accommodation with basic necessities required during their study. A variety of healthy food options are given for students to give them the comfort of home-stay. Moreover, round the clock services are available for girls in case of an emergency. The Library holds a hybrid collection of printed and electronic resources: books, journals, databases, audio-visuals, CDs, DVDs, e-books, e-journals, project reports, back volumes, etc. Our Library is a part of DELNET network of libraries- the major digital libraries resource in South Asia. 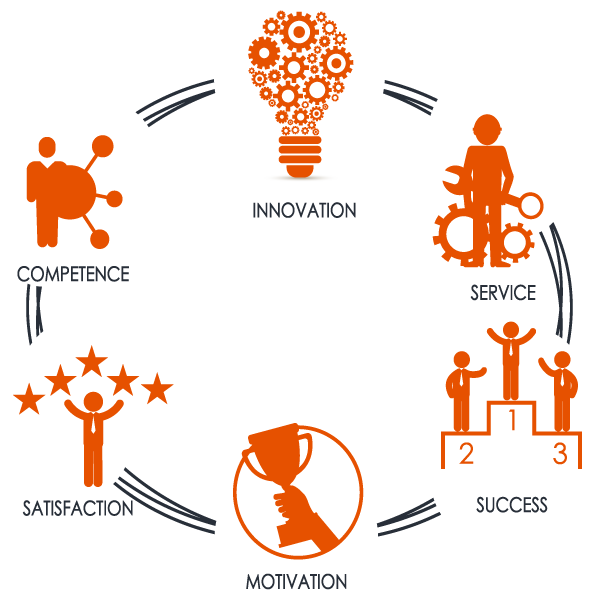 Teaching and learning programmes are designed to suit a cross-section of student profiles. A lot of efforts are made by the administration to improve weak students to attain required level. This is done by conducting extra classes, remedial classes and forming peer groups. How Micro-modules Help Students Learn Better? Plot No.99, Ayyappa Society Main Road, Madhapur, Hyderabad Telangana - 500 081. If you want to stay current on what's going on, or simply want to know more, just sign up for our mailing list.